No one likes to be treated like just another face in the crowd. With this in mind, it's been proven that treating your audience as homogenous throughout your email, online and social media strategy can drastically decrease your chances of leads and visitors converting. Consumers today, well, they're educated and decisive, and know what they want and need - so let's give it to them! With a great segmentation strategy in place you can give consumers exactly what they want to see, how they want to see it. Because of this, by taking the time and effort to segment your target audience based on demographics, needs and persona, conversion rates will improve significantly. Here, I'll provide you with 3 resources that outline how you can begin segmenting your audience. The first explains why you should segment your website traffic and provides 4 ways to start doing so; the second is a beginner's guide for using the best free, but complex, segment analytics tool, Google Analytics; and the third tells us about the intricacies of Facebook Ad Targeting, detailing every nook and cranny of how it segments users (Hint: It has a metric-ton of criteria). 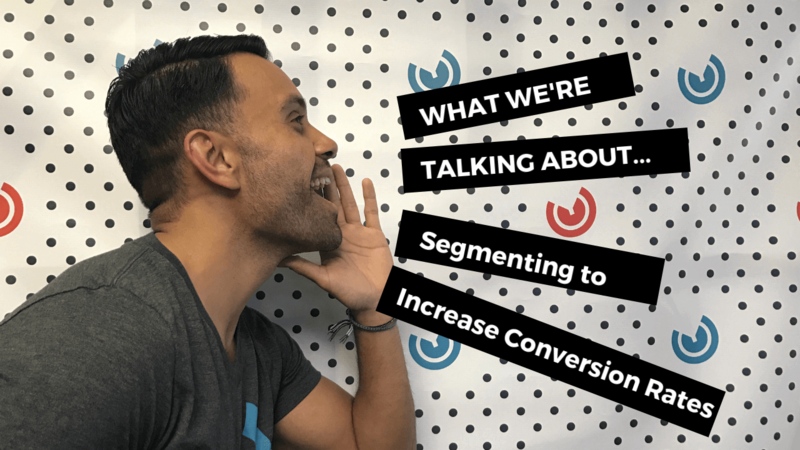 Why should you start segmenting website traffic? In 2015, Taylor's team began segmenting traffic for an e-commerce site by transforming their homepage into a contact form that required website traffic to answer contact-identifying questions and then, directed them to a landing page that best fit their needs, promoting a relevant product. This method eliminated the time it took website visitors to complete a purchase on the site, increasing their conversion rate from 1.31% to 2.47%, and even encouraged people to spend more. Additionally, if you want to segment website traffic and leads to also see positive results similarly or differently than that of Taylor's team, Convince and Convert offers 4 ways to do so. Segment leads from the get-go: This is the technique that they used for their e-commerce client. As soon as visitors land on the website's homepage, they face a form or tool that offers a “personalized” path to follow. Offer a personalized recommendation: Doing so positions your business as helpful, and is a sneaky, but not insidious, way of collecting website visitor's information regarding their needs to send personalized recommendations based on their responses. Optimize your content and messaging: The content you create may be reaching an audience different than you thought. So, when offering new or optimized old content, segment via a form for readers, to discover whether or not you're reaching a relevant audience. After seeing your results, adjust content accordingly. Personalize nurturing emails: Once you've begun segmenting your audience via lead capture forms, or other means on your website, you can then start nurturing leads with personalized emails, targeting their specific needs and behavior. If any of these options for segmenting intrigue you, I implore you to utilize them, as you've now seen at least one proven to work. Capture, segment, nurture and convert your leads! Now, we've answered why you should you segment your website's audience, visitors and users. That is, to increase your website's user conversion rate. So, now, I'd like to introduce you to this great guide, given to us by Neil Patel, which is about using the best free tool at your disposal for segmentation analytics, Google Analytics. Google Analytics is a vast platform that offers an overwhelming amount of information that you can utilize for website analysis. So, of course, Neil Patel does us a solid by jumping in and breaking down its key functions, examining how you can begin analyzing this data to separate and segment your audience, which includes a “Simple How-to” and a few advanced steps to follow for when you start your segmenting journey. Here, we'll simplify it even further - extrapolating only the necessities which you'll need to follow, to begin segmenting and optimizing for greater conversions. Before I get into the steps, if you haven't already, go here to sign up for Google Analytics. It's as simple as entering a bit of information about your business and website, then receiving a tracking ID or code, pasting that code onto your website's pages so Google knows when your site is visited, and waiting a few hours for Google's spiders to crawl your site, to finally start seeing your website's analytics. Step 1: Once you've created a Google Analytics account for your company's website, begin segmenting your audience by going into any report, which you'll see on the left hand-side's panel under Real-time, Audience, Acquisition, Behavior or Conversions, and near the top of the report, click the +Add Segment button. Then, choose from the View Segment column, and there, you'll see that you can either work with existing segments, import new custom segments or create one from scratch. Step 2: To build your own custom segment, choose under “Segment Name” a statistic that you'd like to begin tracking, After, set parameters by adding or deleting criteria for how you'll track that segment. Some of the options to track by, include: Demographics, Technology, Behavior, Date of First Sessions, Traffic Sources, Enhanced eCommerce, Conditions, and Sequences. Tracking subdomains in separate views; and more. Every audience segment that you create will be a bit different in the processes you take, so explore the tool a bunch more, and see for yourself exactly the wild number of audience segments you can create, or even to compare audience segments against one another. What haven't I hit home on yet? A platform you can segment on to increase conversion rates - SOCIAL! Well, here we are. A topic elaborated on by Mary Lister of WordStream, Facebook Ad Targeting segments users based on “audiences that are most likely to become your fan or your customer,” using customer profiles to accomplish this. It targets users so efficiently and in such a personalized way, that some users feel uneasy about the tool and find it upsetting. But, for marketers, for reaching the right leads to nurture to increase conversion rates, it's amazing. So, read along with Mary's article, which I highly suggest, because it's brief, insightful and offers an infographic detailing all of Facebook's Ad Targeting Options, which you can use as a checklist when planning your strategy. But first, let me preface: the key, when creating a Facebook Ad Targeting campaign, is to have a clear idea in mind - a mapped out campaign for your business's product or service. Segment users by demographics: Facebook Ad Targeting offers a wide assortment of statistics that you can target users with, including: Location, Age, Language, Gender, Relationship, Education, Work, Finances, Home Culture, Generation, Ethnicity, Family, Political Ideals, and Life Events. Segment users by interests: Facebook Ad Targeting looks at user's interests, activities and pages they liked, as well as related topics - these interests, activities and pages include: Business & Industry, Entertainment, Family & Relationships, Fitness & Wellness, Food & Drink, Hobbies & Activities, Shopping & Fashion, Sports & Outdoors, and Technology. Segment users by behavior: Facebook Ad Targeting reaches users based on purchases and purchase intent, as well as how they use their devices, segmenting users by criteria including: Automotive, Business-to-Business, Charities, Digital Activities, Expats, Finance, Job Role, Media, if they are a Mobile Device User, Travel, Residential Profiles, and Seasonal Events. Segment by connections: Facebook Ad Targeting accounts for users that have connected with your app, website and social page by narrowing your audience to include those that also meet other targeting categories. Segment by re-marketing: Use Facebook Ad Targeting to identify channels to re-market your brand over, including following website visitors and making available custom email, phone and Facebook user-ID lists. No wonder some Facebook users find its ad targeting unsettling - it tracks so many variable factors in so many ways. So, if social is the right channel for your business - more specifically, if Facebook is the right platform when utilizing social - make sure your user segmenting strategy is up-to-par, so you can target the right audience for your business, to ultimately increase conversions. So where do you go from here? Use segmentation to turn leads into customers with lead nurturing, of course! But, really, we hope these sources have helped you better understand to a degree, how you can segment your audience, and how you can set criteria for better tracking audience segments. If you'd like to know more tactics for nurturing your leads, don't worry, we've got you. 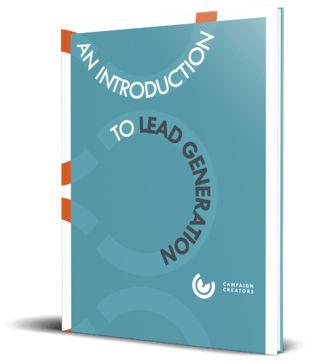 Hop on over and see our guide, How to Create a Lead Nurture Campaign, where we cover all the lead nurturing essentials you need to successfully nurture your leads into customers.